The user can decide if they want to see completed tasks and those that are not assigned to any user. Clicking on a single item opens the communication that can then be edited and then when the ‘Open Related’ button is clicked, the actual item that the communication was attached to will open for editing or view. *Note that the user can act on the related item that was opened. 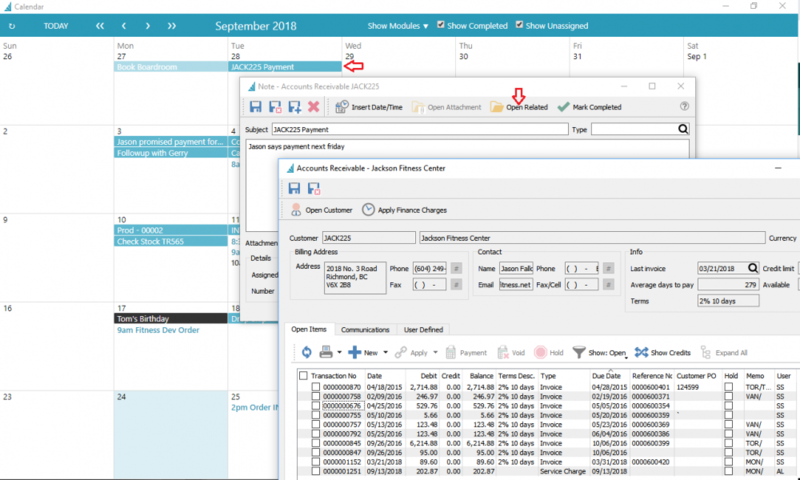 In the case above, they can take the payment on the customers account while staying in the calendar module. 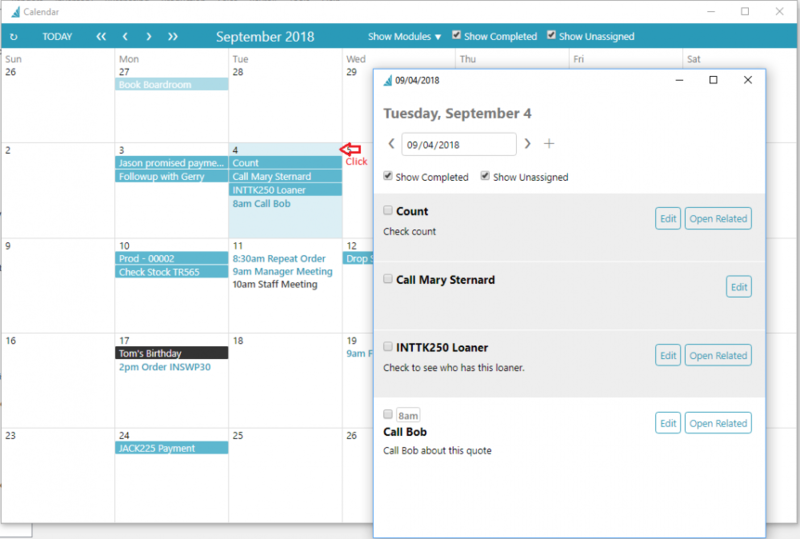 Other features include being able to easily mark items complete, and to drag items on the calendar to another date. The user can also edit the communication s and assign it to another user so it appears on their calendar. 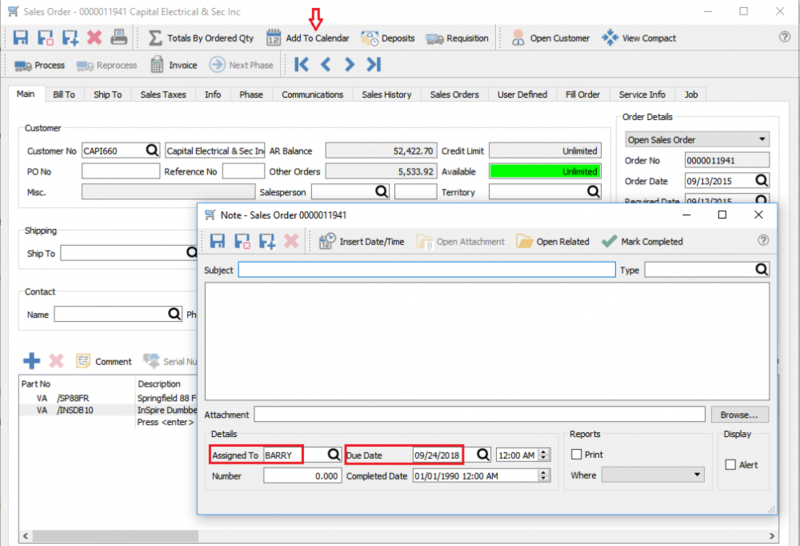 Inside sales, purchase and Production orders is a button labeled “Add To Calendar” . By clicking this a communications record is created assigned to the user with today’s date. They can then add more information or edit it by changing the user and date and even add a time to show on the calendar.